CMS Cepcor® has for many years been accepted as a leading worldwide supplier of aftermarket crusher spares and service to support Standard, Shorthead and Gyradisc cone crushers manufactured by Symons, Nordberg, Morgardshammar, Bergeaud, Krupp and Metso Minerals. The CMS Cepcor® product range includes crusher spare parts and wear parts to suit the entire range of cone crushers from 2′ through to 7′ in both Standard and Shorthead configurations, together with parts to suit the 36″ and 48″ Gyradiscs. 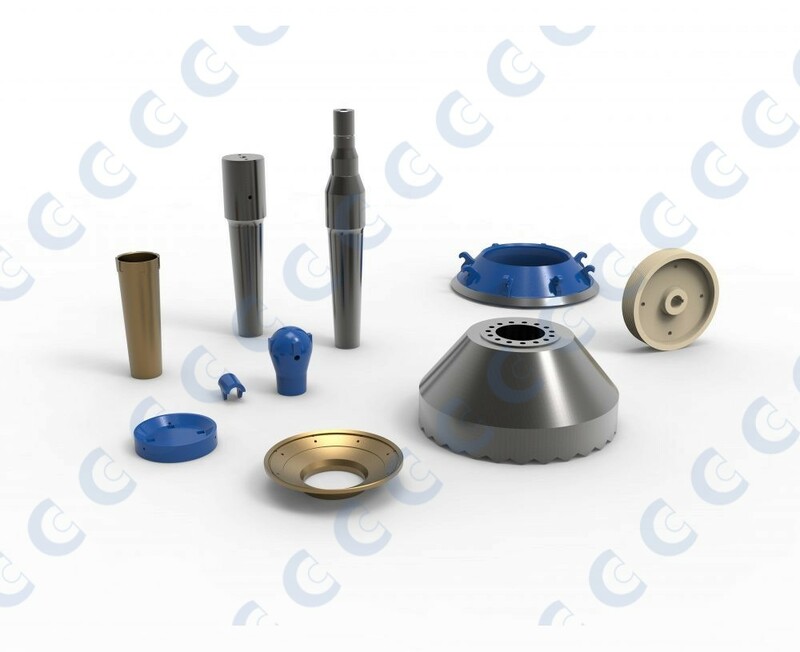 In addition to common crusher spare parts like socket liners, eccentrics, socket sealing rings and countershafts, CMS Cepcor® also holds in stock all major components to suit the Symons type cone crushers including, head and shaft assemblies, bowl liner bowls, adjustment rings and mainframes often with the added cost saving option of reconditioned service exchange assemblies. All CMS Cepcor® compatible parts to suit Symons Nordberg Standard, Shorthead and Gyradisc cone crushers are manufactured and warranted by CMS Cepcor™.